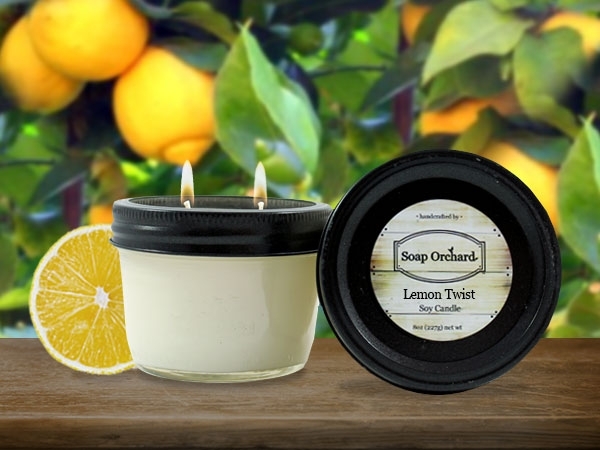 Lemon Twist Soy Candle has a powerfully fresh traditional Lemon fragrance that is quite energizing and uplifting. It is a good choice to diffuse when trying to clear a room of unpleasant aromas. It has a double dose of Lemon!